Coffee Butter is produced via blending of hydrogenated vegetable oils with coffee oil which is obtained by a specific cold pressing process of roasted coffee beans (seeds). Coffee oil mainly contains polyunsaturated linoleic acid with a high content of palmitic acid. After a blending with hydrogenated vegetable oil, Coffee Butter offers higher oxidation stability (a lower linoleic content) with an exceptional smooth and elegant feeling on the skin. 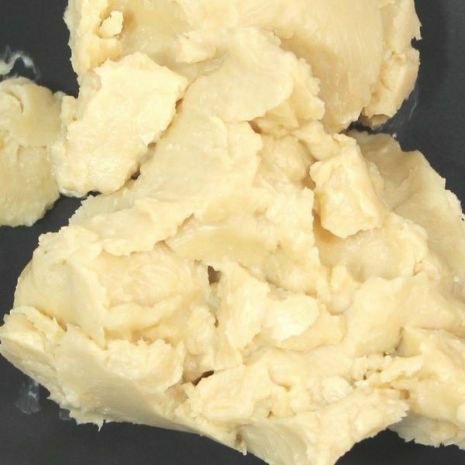 Coffee Butter exhibits excellent spreadability on the skin, making it ideal as a massage butter or carrier for unique skin treatment products. This material also has strong anti-oxidant activity because of it containing ravenous free radical scavengers. With the growing popularity of coffee in today's active, youth oriented marketplace, Coffee Butter will find wide acceptance in a variety of product applications.